Aaron Ramsdale played a pivotal role as AFC Wimbledon climbed off the foot of League One courtesy of a 1-0 win against fellow strugglers Southend on Saturday. Shrimpers old boy Joe Pigott bagged the only goal midway through the second half at Roots Hall as the Dons made it three victories in succession. Goalkeeper Ramsdale, who joined Wimbledon in January, made some important saves on his way to keeping a fourth clean sheet on the trot. He acrobatically tipped a Michael Turner header over the crossbar before smothering a low drive from Sam Hart to keep the contest goalless. Ramsdale clutched a volley from Harry Bunn just before Pigott grabbed the crucial goal as the Dons registered a fifth league win in seven to move to 22nd in the table. Since being beaten by Igor Vetokele’s late winner in a 2-1 defeat at Charlton last month, Ramsdale has gone more than six hours without conceding. 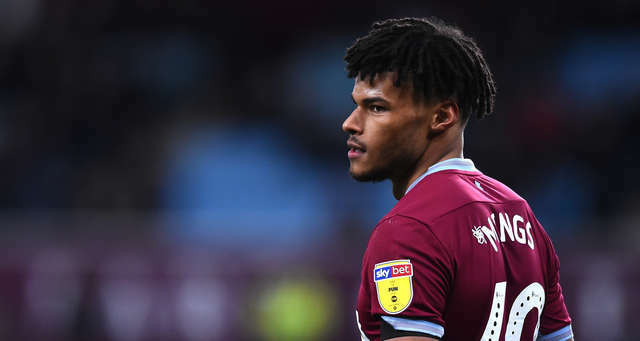 Tyrone Mings played his part in Aston Villa’s 3-0 win over fellow Championship promotion hopeful Middlesbrough at Villa Park. A fourth successive league victory – all against teams in the play-off mix – moved the Villans to sixth. Anwar El Ghazi, John McGinn and Albert Adomah netted for the hosts. Marc Pugh made his ninth appearance for Hull City in their 2-2 draw with Championship rivals QPR at the KCOM Stadium. Pugh played 90 minutes as Jarrod Bowen’s double for the Tigers was cancelled out by goals from Josh Scowen and substitute Tomer Hemed, who netted seven minutes from time. Connor Mahoney went close to breaking the deadlock for Birmingham in their 1-0 defeat at Preston in the Championship. Mahoney was denied by a fine save from Declan Rudd before he was replaced by Jota 11 minutes from time. Sean Maguire struck a stoppage-time winner for the Lilywhites. Jermain Defoe came on as a 64th-minute substitute for Lassana Coulibaly in Rangers’ 1-1 draw with Kilmarnock at Ibrox in the Scottish Premiership. Brad Smith helped Seattle Sounders maintain their perfect start in Major League Soccer as they triumphed 3-0 against Chicago Fire. Frontmen Jordan Morris, Nicolas Lodeiro, Victor Rodriguez and Raul Ruidiaz were all on target as Sounders continued their best start to a campaign since their inaugural season in 2009. 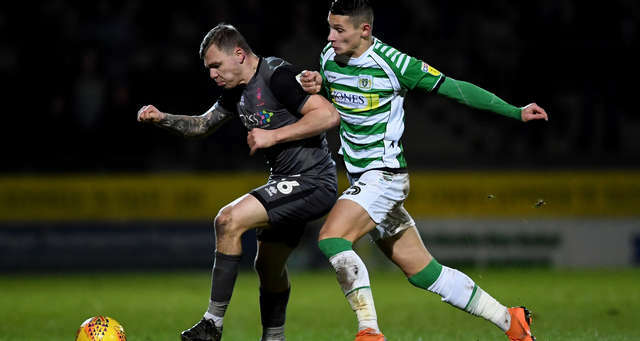 Alex Dobre played 90 minutes in Yeovil Town’s 2-0 defeat by Macclesfield in their League Two relegation showdown at Huish Park. Goals from James Pearson and Harry Smith hoisted the Silkmen off the foot of the Football League and to within three points of third-bottom Yeovil. Tyler Cordner played 90 minutes in Havant & Waterlooville’s dramatic 2-1 defeat by Chesterfield, a reverse which left them four points from safety. Chris Paul opened the scoring for the Hawks, netting directly from a corner, only for the Spireites to hit back through a Will Evans header and Scott Boden’s late penalty. Shaun Hobson was an unused substitute in high-flying Eastleigh’s 1-0 defeat by Barrow. Despite the setback, the Spitfires remained in the National League play-off zone. Frank Vincent played the final nine minutes of Torquay United’s incident-packed 2-0 win over sixth-placed Dartford in National South. The Gulls had to play 77 minutes with 10 men following the dismissal of Jean-Yves Koue Niate. Vincent replaced skipper Asa Hall in the 81st minute as Jamie Reid’s double at Plainmoor saw Torquay close the gap on leaders Woking to one point and with a game in hand. Corey Jordan twice went close to scoring for Eastbourne Borough in their 2-0 defeat by Hungerford Town in National South. Jordan nodded an early chance wide and then saw his shot parried before Hungerford opened the scoring with a disputed effort from Rhys Kavanagh which Boro felt had not crossed the line. Sam Sherring played 90 minutes as Weymouth extended their lead at the top of Southern Premier South thanks to a hard-fought 0-0 draw at Wimborne. The Terras, who have a game in hand on most of their rivals, saw second-placed Taunton and fourth-placed Salisbury both lose.